I'm still experimenting with TDD, and the jury is still out. As with so many religious wars, I suspect the best advice is to strive for balance. How about once per release cycle, right before code freeze? How about once a week? How about once a day, as part of the "nightly" build? How about several times a day, as part of each developer build? How about every time you save a source file from your editor? Working with Clojure and Midje's autotest has sold me on that last one. It is only practical for simple tests which execute very quickly, but so far that is what most of my unit tests have turned out to be. Being somebody who enjoys learning new things, I decided to do some Ruby learning. When I learn a new thing, I like to experiment and take notes. I have files named "learning_lisp.txt" and more recently "learning_clojure.txt". These files have small examples of source code with minimal explanation; they aren't intended to be useful for somebody else, but only to trigger my memory. In particular, they show the results of my experiments. The other day I saw this post, in which the author describes writing unit tests as he learns Ruby. This made complete sense to me, and I wish I had seen that post a year ago! Now that I'm learning Ruby, my notes file is "learning_ruby.rb" ... ".rb" instead of ".txt". My experiments are entered in there instead of just typed interactively in a REPL. I've only just started, and I'm not sure if I'll stick with it, but I really like the idea of having my notes file be executable; if nothing else, it catches my typos. I love this setup! I have my "learning_ruby.rb" file in my editor and my Ruby book open. I see a new function, and I enter a couple of experiments in my ".rb" file and save it. The "fswatch" window immediately runs it and shows me the results. 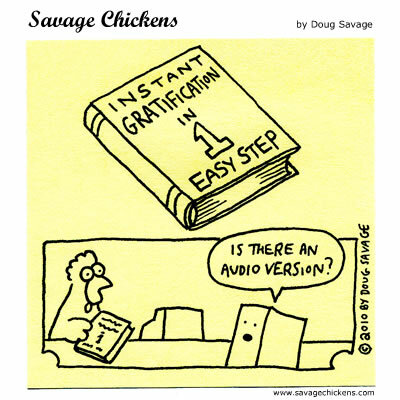 Talk about instant gratification! Wanna know who *really* landed a man on the moon? Hamilton's work prevented an abort of the Apollo 11 moon landing: Three minutes before the Lunar lander reached the Moon's surface, several computer alarms were triggered. The computer was overloaded with incoming data, because the rendezvous radar system (not necessary for landing) updated an involuntary counter in the computer, which stole cycles from the computer. Due to its robust architecture, the computer was able to keep running; the Apollo onboard flight software was developed using an asynchronous executive so that higher priority jobs (important for landing) could interrupt lower priority jobs. In my previous blog post, I talked about different data representations for recording a game of 10-pin bowling. I started with an obvious representation, and moved toward a more clever one. I want to admit that it took me quite a while to write the bowling code. Part of the reason is that I am very simply *not* a super fast coder (hence my blog title). Never have been. Anyway, when I started writing the bowling code, I tried using a TDD approach. One common practice with TDD is to not try to design an ideal system up front, but to only code the minimum required to satisfy the current test set. I call this the "short time horizon" approach to design. I've heard Agilists also argue in favor of a short time horizon -- only design your current iteration's software, and if that design turns out to be inadequate for future stories, refactor as needed. The idea is that by not over-thinking the task at hand, you can do it ... (insert ominous music here) ... faster. Get something working now. Worry about the future when it arrives. So, when I started writing the bowling code, I only looked ahead to the currently-written failing test. Being an old C programmer, I started with an array of 10 "frame" structures, each with 3 "rolls". It wasn't until late in the cycle that I included a test case with two strikes in a row, causing me to realize the difficulty in looking forward 2 rolls in a frame-based structure. I changed the data representation in a fundamental-enough way that the vast majority of the code had to be modified / re-written. No problem, right? TDD and Agile is all about refactoring, right? The danger is that time pressures will result in less refactoring, and more hacking and patching, leading to brittle software that takes a long time to maintain and enhance. It's always cheaper to hack in this one little feature *without* the refactoring, so the refactor rarely gets done and you end up with a mess. Ultimately, customers suffer from buggy software releases due to unmaintainable code. Mind you, I don't blame "management" for this! (At least, I don't *only* blame management.) Any time I've gone to my manager -- be it project, product, or administrative -- and said, "It's time already! We *need* to refactor this code," they've always made time in the schedule. Sometimes, we've had to debate the definition of "need", but when I've pushed hard enough, they've always agreed. It's the programmers themselves who push back just as often, sometimes out of an assumption that management wouldn't agree, other times because they're just sick and tired of the code, and want to move on. With this bowling project, I was programming for fun, so I didn't mind re-writing it. But it still would have saved me a lot of time had I spent 15 minutes or so thinking and prototyping before deciding. In the bad old pure-waterfall days, we tried to get the approach right during one marathon design phase, before line 1 of code was written. It resulted in low overall productivity, and still didn't eliminate the need to refactor. I firmly believe that the rapid cycle encouraged by Agile and TDD is a good idea, but yesterday I let the pendulum swing too far the other way. I should have been more meditative up front. :-) And I guess that's my point here: balance. Don't design to death, but also don't let TDD and Agile be the death of design. Why Aardvarks? Because in the 80s I knew somebody who made up the fictitious game show as a quintessentially absurdist entertainment. He is the same guy who made up the word "blunjo" simply because it made him laugh to say it. I enjoyed his company, and I'll be damned if I can remember his name! Maybe someday he will google "blunjo" or "bowling for aardvarks" and get in touch with me. But that's not what I wanted to talk about. I want to meditate a bit about a data representation conundrum: obvious v.s. clever. I normally avoid cleverness in favor of obviousness. But sometimes it's the wrong choice. I won't explain all the rules, Wikipedia does that, but Ms. Lane here rolled twice in frame 1, knocking down 9 pins and then 1 for a spare. In the second frame, she only rolled once, knocking down all 10 for a strike. Etc. Is this the right approach? Everybody who bowls knows what a score card looks like, and treating frame 10 as special is arguably the most obvious and least astonishing way to represent a score card ... to a bowler. But who is going to be looking at those data structures? Programmers. And I bet that even programmers who bowl would turn a bit pale at the "struct frame_10_s" approach; it would lead to complex code, with lots of "if (frame_num == 10)" statements and *almost* duplicated code. Hard to get right, hard to maintain. So let's instead go with 10 copies of "struct_frame_s" containing "int roll" on the assumption it will simplify the code (it does). Does anything else stand out? What about "int c_score", the cumulative score? It seemed natural given the structure of a paper score sheet, but it's just duplicate data. You can derive the cumulative score for any given frame by starting at frame 1 and working your way forward. Sometimes, old C programmers tend shy away from that approach for efficiency reasons. "OMG, that makes scoring a game O(n**2)!" But duplicate data also introduces lots of opportunities for bugs. I would rather start with the more simple and safe approach, and only optimize if subsequent profiling indicates that it is needed. So, are we done? Let's think about the scoring algorithm. When you get a strike, you add the next two rolls. Look at Ms. Lane's game. In frame 2 she got a strike, so she took the 10 for those 10 pins, added the two roles in frame 3 (7 and 2). No problem. But what if she had gotten a strike in frame 3? I.e. two strikes in a row. In that case, frame 2's score would have to access both frame 3 *and* frame 4. For a strike, the number of forward frames to access isn't constant, and requires some messy if-then-else code. We don't divide the rolls up by frame, we just store the rolls sequentially. The maximum number of rolls in a game is 21 (no strikes in frames 1-9, and a strike or spare in frame 10). The minimum number of rolls is 11 (strikes in 1-9, and neither strike nor spare in frame 10). This makes it much easier to calculate a strike's score; you just look at the next two rolls. In fact, just to make the algorithm even easier, you could use "int roll" with the extra two rolls initialized to zero. That way, a 21-roll game that ends with a strike can use the same algorithm, which adds the next two rolls. It doesn't need special case code for frame 10. So, is this the right choice? It makes it easier to do the look-ahead calculations for strikes. But it also makes it non-trivial to find the frame boundaries when you need to, like during display. And it moves the data representation *very* far from the application's natural visualization of the data (the paper score card). A long time ago, I mentioned an event logger that I promised I would create a downloadable package for. I obviously never did. I've had a couple of opportunities to recommend it recently, so I decided to accept the fact I may never get it a nice neat package, and I should just describe it. So my event logger is intended to be a VERY low-impact debugging aid. It is a bit of a pain to use, so it is often more of a last resort, but sometimes it's the only way to track a tricky race condition. So, the above will create a nice log of events in the global evlog array. What do you do with it? One thing is that by making it evlog and evlog_num_logs globals, you can find them with gdb if your program crashes and dumps core. Also, if your code contains sanity tests and calls some kind of fatal error function, that function can write the contents of those globals to a debug dump file. Finally, you can even add a user interface to trigger dumping the globals to a file. Note that although I use this code for multithreaded debugging all the time, it is technically not thread-safe. The evlog_num_logs++ is not atomic, for one thing, which means that if two CPUs execute it simultaneously, the variable will only be incremented once. However, given that the primary goal of this event logger is to minimize impact, it is usually better to live with the risk of a mildly-corrupted event log. I've used this technique in the past, and there is lots of room for improvement. For example, expand what you save with each event: thread ID, high-resolution time stamp, source file name (to go with line number), etc. But be careful - add too much and you deviate from the "minimal impact" goal. One final thought - many products have a "debug mode" in which lots of debug output is spewed to a debug file. I've already mentioned some problems with this -- changing timing can mask or introduce problems and too much output -- but there's a much bigger problem: debug mode is never there when you need it. Customer calls you up and says, "a bad thing happened." You say, "turn on debug mode." Customer does, and is not able to reproduce the problem. With this kind of low-impact event logging, you can leave it on all the time. Have it auto-dump on crashes, and have a customer-triggerable dump also. You may not be logging the right events, but at least you'll have *some* evidence to work with ... better than "a bad thing happened." I just ran across the site: ifttt.com (stands for "if this then that"). It appears to be a primitive autonomous intelligent personal agent, capable of monitoring a variety of information sources and triggering various actions. I just set up a rule to send me an email when I post to my blog. Although the idea interests me, I'm not sure how heavily I will use it (my email inbox is clogged enough without messages telling me that it might rain tomorrow). But who knows? If I find a compelling use for it, I'll post it here. Which will generate an email to myself. Which will cause me to remove that rule since, hey, I think I know when I post to my own blog. In this article, I explain tail call recursion, show an example in both Clojure and common lisp, opine that Clojure's approach to tail call recursion optimization is better than lisp's, and finally look at Clojure's "lazy-seq" which seems to mysteriously provide the benefits of tail call recursion optimization for algorithms which are *not* tail call recursive. Note: in this article, I refer to "tail call recursion", but I am actually dealing with a subset of that domain: tail *self* call (a.k.a. "direct") recursion. The theories presented also apply to the general case, including mutual (a.k.a. "indirect") recursion. However, optimization of tail *mutual* call recursion is much more rare in compilers than optimization of tail *self* call recursion. So I'm only considering self call. What Is Tail Call Recursion? Tail call recursion is a special case of recursion. With recursion, a function calls itself. *Tail* call recursion is where the function calls itself, and then immediately returns, either returning nothing, or returning the value of the recursive call. I.e. it doesn't call itself, and then do something with the results recursive call's value before returning. The reason tail call recursion is an interesting special case is that it can be optimized in a way that doesn't require a stack frame for each recursive invocation (i.e. it converts it into a simple loop). This makes it faster and conserves stack space. This is not tail call recursive. If you call (fact 5), that initial invocation needs to wait for the recursive invocation to return the value of 4! so that it can multiply it by 5 and return the result. It needs to maintain the state of x across the recursive invocation, and it uses the stack for that. Clojure's stack seems awfully small to me; less than 9000 levels deep. (If you don't like having to pass the "1N", you can simply define a wrapper function.) This is tail call recursive because all the work, including the multiplication, is done before the recursive call. So theoretically no state needs to be stacked up as the recursion goes deeper. But as you can see by the stack overflow, Clojure doesn't realize this. There! One advantage to using loop/recur is you don't need a separate function which takes the extra result-so-far parameter. It's kind of built in to the loop construct. So, which is better: Clisp, which automatically did the optimization, or Clojure, where the programmer basically has to *tell* the compiler to optimize it with loop/recur? I have to side with Clojure, and I'll tell you why. I started my experimentations knowing that lisp did the optimization automatically. I coded it up, and it overflowed the stack. Huh? I had to do a bunch of googling to discover this page which mentions in footnote 1 that you have to compile the code to get it to do the optimization. Had I not tried it with a large number, or if I had mis-coded the algorithm to not really be tail call recursive, then I would have put in some effort to achieve an intended benefit, would not have received that benefit, and I might not have known it. Most of the time, you need to carefully code your algorithm to be tail call recursive. I prefer Clojure's approach where you tell the compiler that you intend it to perform the optimization, and it gives you an error if it can't, as opposed to lisp which silently leaves it un-optimized if you make a mistake. It also gives a hint to a future maintainer that your potentially awkward algorithm is coded that way for a reason (admit it: fact2-tail and fact2-loop are more awkward algorithms than fact1). Now I'm experimenting with lazy-seq, which can also be used to avoid stack consumption. It's a different animal -- the factorial function only returns a single value, whereas lazy-seq is intended to assemble a list (or more-accurately, a lazy sequence). We solved the stack problem, but ran out of heap assembling the massive list (note that most of the elements of the list hold VERY large numbers, which consumes significant space for each list element). Look at the algorithm; it's almost identical to fact3. I.e. it is *not* tail call recursive! Each recursive call must return its list, which is then "cons"ed onto (* i result-so-far). The lazy-seq function allows Clojure to conserve stack, even though the algorithm is not tail call recursive. It is also able to reclaim unneeded early list items (I'm only interested in the last one), so it conserves heap. Did Clojure figure out a way to not have to maintain state across all 59999 invocations? Or is it just doing it with fact3-lazy in a more-space-efficient way than fact3? I'm guessing that it is maintaining state on the heap instead of the stack, but I'll be honest, I'm not exactly sure what's going on. I changed the name of my blog from "Sford's Blog" to "The Meditative Coder". A bit pretentious or pompous? I hope not. I do think about code a lot. I'm not talking about design. Lots of people could claim to be a meditative designer, striving to make their structure and algorithm are elegant, efficient, and robust. I cut my professional teeth in a culture where coding was considered a low art. Design was where the prestige lay. And architecture? That gets you a corner office and groupies. I'm not kidding! I've seen some pretty mediocre programmers put on a pedestal when they achieved architect status. I don't want to minimize the importance of a good architectural framework and a good design. However, I think coding sometimes gets short shrift. I think that well laid-out and organized code is beautiful. Given the choice, I would rather maintain a program whose design is so-so and whose code is excellent, than vice versa. I will admit to spending significant time after I've gotten a program working, just to make the code more readable -- changing variable and function names to be more-precisely descriptive, adding or subtracting whitespace to make the code clauses more logical, even re-factoring the code a bit to have cleaner, more-intuative abstractions, and even adding comments (judiciously). So yeah, I think I'm a pretty meditative coder, perhaps more-so than average. In my previous post, I did some speed measurements of Clojure. John commented with a test in common lisp, which performed MUCH better than Clojure. Whoa! That's over 200 times slower! I tried it again. And again. And again. Same results. Each run of (fact4 1000) now took 5 microseconds. I could imagine some overhead which needs to be amortized across multiple loopings, but that seems extreme. FINALLY! The times start increasing by factors of 10 after about 10,000 runs, settling down to about 1.2 microseconds per "(fact4 1000)". John - I suspect that you would see even better performance if you did more loops. Anyway, I went back to the Clojure programs and did the same thing with timing multiple loopings. The timings are basically consistent with a 10-fold increase in time with each 10-fold increase in loops. Yes, there is variability (presumably due to GC), but multiple runs have tended to prove the rule. I get the same trends with fact2 and fact3. So my originally-posted timings were about right. Given the wide variability of individual timings, this matches reasonably well the results above. I don't think clisp is doing anything too fishy. There is a cute site www.4clojure.com which poses coding challenges to Clojure programmers. I don't have lot of time each day, so I'm only up to #42, but I'm having fun. The actual problems have been trivial so far, targeted to giving a beginner practice with Clojure features. One nice thing about it is that you can "follow" somebody else to see what their solutions are (but you can only see them *after* you've solved it yourself). I've found a pretty experienced Clojure programmer to follow, so it's been very educational to compare my sometimes-brute force solutions with his more elegant solutions. For example, problem #42 is to write a factorial function. For the purposes of this post, I'm changing the factorial algorithm to do addition rather than multiplication. This is because I wanted to test it with large numbers without arithmetic overflow to get timing information. I timed that (on my 2nd gen Mac Air) for n=1,000 and it took 6 nanoseconds. This is very elegant and uses some of Clojure's interesting features. As soon as I saw it, I thought, "wow, that probably took him 10 seconds to write." It executes in almost exactly the same time as the recursive version - about 330 micros. Note that this is arguably the most-complex of all the solutions. Part of the reason I wanted to write it this way was that I wanted to practice a method called "tail recursion". In this method, the algorithm is technically recursive (hence the "recur" function), but the compiler can trivially convert it into a simple loop. I.e. this method does not actually create 1000 stack frames. The reason for doing this is to make it more efficient. What happens if we go with n=10,000? Surprise! The purely-recursive version gets a stack overflow. (That seems like an awfully small stack to me...) The other versions each take about 10 times longer, as you would expected. The moral of the story? Use Clojure when you want short development cycles, not high performance. And by that measure, the *real* winner is that more-experienced Clojure programmer who wrote "(apply + (range 1 (inc n)))". No "if" statements to get wrong, no partial-sum to keep track of, no stacks to overflow. By a HUGE margin, the fastest to get to a working program. I've been enjoying getting my tools sharpened and ready for use. John Jacobsen describes a nice set of workflow habits and tools that he uses in his blog. It includes Emacs, Leiningen, and Cider. 27-Sep-2014: I've made in-place updates to this post. To get a productive Emacs-based Clojure environment, you need Emacs packages. I had some initial trouble with it not finding the Marmalade packages I asked for. I read some advice telling me to refresh the packages, but it wasn't exactly clear how to do it all in one go. To complicate matters, I found myself trying out the approaches of several bloggers, leading me to need to clear my config and start over more than once. I won't show the rest because I'm sure I'll be making a lot of changes over the weeks to come. Ugh. For various reasons, I combined marmalade with melpa. The net result was a nightmare of things not working quite right. Apparently when both are enabled, the above package list will fetch incompatible versions of different packages. I tried going with melpa-only, and several packages were not available. I could have messed with it for longer, but I just wanted things to work again. So I started from scratch again with the above settings. With the latest lein, I'm back to everything working. Wow. I think the last time my work in-box was empty was when I joined 29West, back in 2005. It stayed empty for probably an hour. I dunno ... it's actually a little scary looking. I am very happy with the Maglus stylus for my iPad. I wrote an Amazon review of why I like it so much (there are specific reasons). The reason for this post is that you can get a 10% discount if you use this link. It's part of an "affiliate" program that also kicks me a bit of money, which I have re-directed to the American Red Cross. That said, I did notice that on Amazon, I could find it for even less than the 10% off list, so if you're looking to save money, shop around. I would rather see you save as much money as you can, and independently donate a decent amount to the Red Cross because you want to support their good work. Anyway, I never feel 100% comfortable promoting a commercial product lest I come across as a corporate shill. Then I saw a post on their corporate blog on James Joyce and Ulysses. Somehow that makes me feel less guilty being a booster. Which is really silly since I've never read Ulysses! Hmm ... what tags should I set on this post? I don't see one for "shameless commerce". I guess "tips" since I really do like the stylus a lot. I had what I thought was a pretty simple piece of code, transferring a structure from one thread to another. Without describing it blow-by-blow, I'll present it thus: a writer thread is measuring temperature and pressure of a steam turbine. A reader periodically samples the measurement. There is no need for the reader to get every measurement, it only needs the most-recent at the point that it samples. Pretty simple. Easy to understand. And it didn't work right. The test code was written to make it obvious when inconsistent values are read, and the code above generated inconsistent reads. A LOT of inconsistent reads. How can this be??? I used volatile to prevent the optimizer from messing with the order of reads and writes, and it's an x86-64, which has a very predictable memory model, removing the need for most hardware memory barriers. The algorithm is correct! Why is it failing? HEY! It copied the structure in the REVERSE ORDER than I expected! So it copies the pre_seq first, then the temperature and pressure, and post_seq last! No wonder it detected collisions, that order is NOT thread-safe! It would also be possible to define a sub-structure containing temperature, pressure, and any additional interesting data. The fields in the sub-structure could be copied as struct assign, allowing the compiler to do it in any order. But the pre_seq and post_seq must be individually copied in the right order. I do love those exclamation points! But suppose this algorithm is applied to market data, which might have many thousands of ticks per second? The algorithm shown suffers from a fundamental flaw: starvation. If a writer and reader get pathologically synchronized, there is no bound to the number of times the reader will cycle, trying to get a clean sample. In practice, it might be fine. But whenever possible, I prefer a solution that works by design, not by circumstance. I think a better approach might be to use a non-blocking queue, like this one. The writer presumably requires non-zero work to produce a new record. The consumer should read the queue dry in a tight loop before processing the last record read. Now the queue need only be long enough to hold the maximum number of produced records between two reads. A slow reader will simply clean out the queue each time it reads. Some might question the wisdom of doing ANY kind of programming where the order of field copies in a struct assign is important. In the old days, this program would have been done with a critical section, protected by a mutex or semaphore. That works fine, and doesn't depend on order. But high-performance applications of today need much lower latencies. So lock-free algorithms are important. With lock-free, you need to concern yourself with order; the compiler can change the order of the assem language operations from the source code, and the hardware can change the order of physical memory operations form the assem code. Compile optimizer barriers address the former; hardware memory barriers address the latter. Finally, some will question my choice of making all the fields of the structure volatile. I admit it is a heavy-handed approach that I used for expediency -- this was a prototype after all. For production code I would use a more-precisely targeted VOL macro (mentioned in an earlier post), often in cooperation with a general compile optimizer barrier, like "asm volatile ("" ::: "memory");". Note that these techniques are NOT used to squeeze every nanosecond out of the code. They are used to insure code correctness. Error handling: the enemy of readability? After all these years, I find it very interesting that I haven't seen a common approach to internal error handling become widely-accepted, the way structure and object-orientation have. I'm speaking here of internal errors, not user errors. If the user enters bad input, you owe it to the user to detect the problem and report it in a user-friendly way, allowing the user to correct his mistake. User error detection and handling code is fully part of the program. Internal errors are different. These are found by inserting sanity checks to see if something that "should never happen" might have actually happened. Very often, failed sanity checks represent a software bug that needs to be tracked down and fixed. ROBUST CODE vs. READABLE CODE? Most approaches to internal error handling I've seen are poor. Maybe it is partly due to a lack of programmer discipline - we all get lazy sometimes and forget to check a return status - but I don't think that is the primary reason. I believe the main culprit is the need for readable code. The greatest expense in any significant programming effort is not the original writing of code, it's the subsequent maintenance. The original programmers eventually leave the project, and less-experienced programmers often take over the less-glamorous job of fixing bugs and adding enhancements. It is critically important that the code be readable. External documentation is typically out of date moments after it is written, and even internal documentation (comments) are suspect. The code itself is the only reality that matters, and the harder it is to understand that code, the harder (and more expensive) it will be to maintain and improve it. And unfortunately, doing a thorough job of checking and handling internal errors often makes the code harder to read. Wouldn't it be nice to have both good error detection and readability? As you've probably guessed, the ASSRT macro does nothing if the expression is true, or does a "goto ASSRT_FAIL;" if the expression is false. A variation is to use "abort()" instead of goto. In many ways this is FAR superior for a troubleshooter; a core file can provide a full stack trace and access to program state. Calling "abort()" also simplifies the code further, removing explicit clean up. But it also means that the code has given up on any hope of recovery. Differentiating between an un-recoverable error and a recoverable error is often not possible at the point where the error is detected; it is usually considered good form to report the error and return a bad status. What is this magical "ASSRT()" macro? For those unfamiliar with C macro magic, there are two bits here that might benefit from explanation. First the "do ... while (0)". This is explained pretty well here. It's the standard way to avoid tricky bugs when macros are used as part of if statements. The second is the "#cond_expr" at the end of the sprintf. The C preprocessor converts "#macro input parameter" into a C string. An important reason for making this a macro instead of a function is so that the __FILE__ and __LINE__ compiler built-ins apply to the source line which uses ASSRT. I've also sometimes enhanced the ASSRT macro, making it specific to a program or even a function by including prints of interesting state information. I've also sometimes included errno. These improvements help the troubleshooter diagnose the internal problem. One big drawback to this approach? The error messages logged can only be loved by a programmer. What would an end user do with this? This is wonderful for a programmer; I don't know how many times I've seen an error log containing, "could not open file", only to find that the string appears many times in the source code. This pin-points the source file and line. However, this message is virtually useless to an end user. On the other hand, is it really any worse than this? This looks less like geek-speak, but doesn't actually help an end user any more. In both cases, the user has little choice but to complain to the developer. I have an evolved version of this approach, which I plan to clean up and present in the not-too-distant future. Java adds exception handling, which some would say contradicts my claim that error handling isn't standardized. However, Java exceptions merely standardize the low-level language tool. It doesn't really address the approach that a program takes. When used poorly (e.g. try-catch at every call), it reduces to the unreadability of example 2. When done well, it approximates the good readability of example 3. The key is the sacrifice some user-friendliness of error message in favor of keeping the program structure clear. That sacrifice is worth it since internal errors should rarely happen. I am a bit embarrassed to admit that I'm not very familiar with C++'s exception handling facility. I've never worked on a project that used it. I've heard many programmers state their strongly-held opinion that C++ exceptions are to be avoided at all costs, but I don't have enough personal experience to have my own opinion. One concrete data point: a computer engineering senior at U of I (a respected institution) tells me that their C++ course does not teach exceptions. But I figure that even if C++ exceptions are not up to the task, my C method should work fine. I'm not married to any specific language tool, so long as error handling can be added without obscuring the code. I have a slightly different version in my wiki. I change the goto to abort(), and I also print the human-readable form of errno. While fine for most Unix tools, those changes will not be appropriate for all kinds of programs, so the form above is more general.